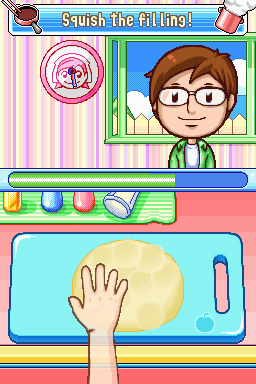 Cooking Mama is coming back to Nintendo consoles of both the home and portable variety this Summer- cook off! The trio of releases currently lined up are actually combo-packs that include a double dose each of Cooking Mama for either console. They're priced to move too, with MSRP's of $29.99 USD. On a side note- I had no idea they made this many of these games. Mama’s Combo Pack Volume 1 for Nintendo DS™ mixes up a recipe for fun by combining the original best-selling classic Cooking Mama with Camping Mama: Outdoor Adventures. 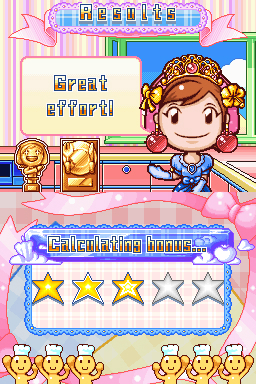 In Cooking Mama, players use their stylus as the ultimate cooking utensil to create more than 75 real dishes under Mama’s watchful eye. If you make a mistake, don’t worry because Mama will fix it! When you’ve mastered the kitchen, join Mama and her family on an exciting wilderness getaway. Play as Mama’s son or daughter as you set up camp, interact with wildlife, endure forces of nature, and even hunt for treasure across 38 levels and 100 different games. Get creative both in and out of the kitchen with Mama’s Combo Pack Volume 2 for Nintendo DS™ that includes Cooking Mama 2: Dinner with Friends and Crafting Mama. 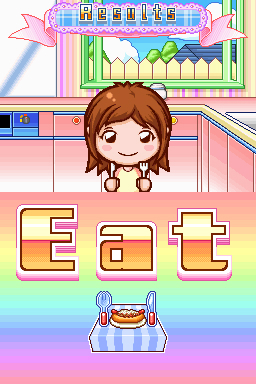 In Cooking Mama 2: Dinner with Friends, you must satisfy Mama and her finicky friends who will taste each dish after you prepare it and judge your kitchen creations. Learn 80 new recipes from macaroons to shark fin soup as you customize Mama and your kitchen with goodies you unlock as you play. When it’s time to put down the spatula, pick up the scissors and paintbrush to get crafty with Mama! As the only dedicated crafting game, Crafting Mama features 40 different projects where you can sew, mold, paint and cut with your stylus as you create jewelry, quilts, candles, mugs and even kaleidoscopes! Mama’s 2-Pack for Wii™ brings the culinary action to your console in Cooking Mama Cook Offand Cooking Mama World Kitchen. The Wii Remote™ transforms into your universal cooking tool as you chop, grate, slice, stir and roll in motion-based cooking activities. Put your skills to the test and whip up some kitchen fun in Cooking Mama Cook Off as you go head-to-head against other chefs in 2 player competition. In the Wii sequel, Cooking Mama World Kitchen, fans will enjoy brand new 3D graphics, fresh recipes from around the world, comedic kitchen mini-games and new gameplay modes that will transform you into a master culinary artist!